Call of Duty®: Advanced Warfare Havoc, the first DLC pack for Call of Duty®: Advanced Warfare is now available for PlayStation 4 and PlayStation 3. Packed to the brim with content, Call of Duty: Advanced Warfare Havoc includes four new, epic multiplayer maps, access to the versatile AE4 directed energy assault rifle, the AE4 Widowmaker custom variant plus an exciting all-new cooperative mode called Exo Zombies. Sideshow: In the shadow of Devil’s Tower, Wyoming, this abandoned inn’s open layout amplifies its creep factor. Blast your way through the clown inn with close-quarters battles or use long-range site-lines from the mining facilities and natural terrain. Use the map-based scorestreak to activate the lights, music and magic of the clown marquee and rain down a barrage of rainbow smoke-trailed cannonballs. Havoc’s new cooperative experience, Exo Zombies, features a story told through the eyes of four employees of the Atlas Corporation. Played by a celebrity cast consisting of John Malkovich (In the Line of Fire, RED, Burn After Reading), Bill Paxton (Aliens, Titanic, Edge of Tomorrow), Rose McGowan (Planet Terror, Scream) and Jon Bernthal (Fury, The Wolf of Wall Street), Exo Zombies ushers in a new breed of zombies and a truly unique experience in the Havoc DLC Pack. Call of Duty: Advanced Warfare Havoc is also included in the Call of Duty: Advanced Warfare DLC Season Pass*, where fans can purchase all four epic DLC Packs planned for the year, as part of the discounted bundle. The Havoc DLC Pack also includes the AE4 directed energy assault rifle and its custom weapon variant, the AE4 Widowmaker, combine a versatile firing mechanism with all-around movement speed and handling. Call of Duty: Advanced Warfare, is developed by Sledgehammer Games and Raven Software specifically for Xbox One, the all-in-one games and entertainment system from Microsoft and PlayStation®4 and is available via direct digital download. 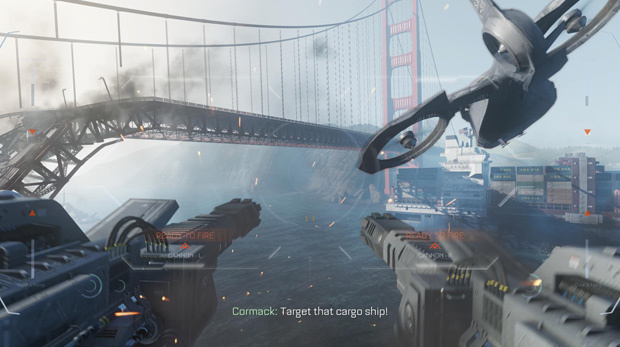 A current gen version for Xbox 360 games and entertainment system from Microsoft and PlayStation®3 computer entertainment system is developed by High Moon Studios. The title is rated PEGI 18. This brand new season marks the debut of a revamped Cardassian mission series and two new featured episodes.